The LA16-30 and LA16-35 Line Array Towers by Applied provide style, function and value for flying a variety of popular line array speaker systems. The optional subwoofer platform completes the tower package. The perfect solution for a corporate meeting or an outdoor festival, these towers are a great additional to any production inventory. The Applied LA16-30 and LA16-35 towers feature a modular design for fast assembly and easy transportation. 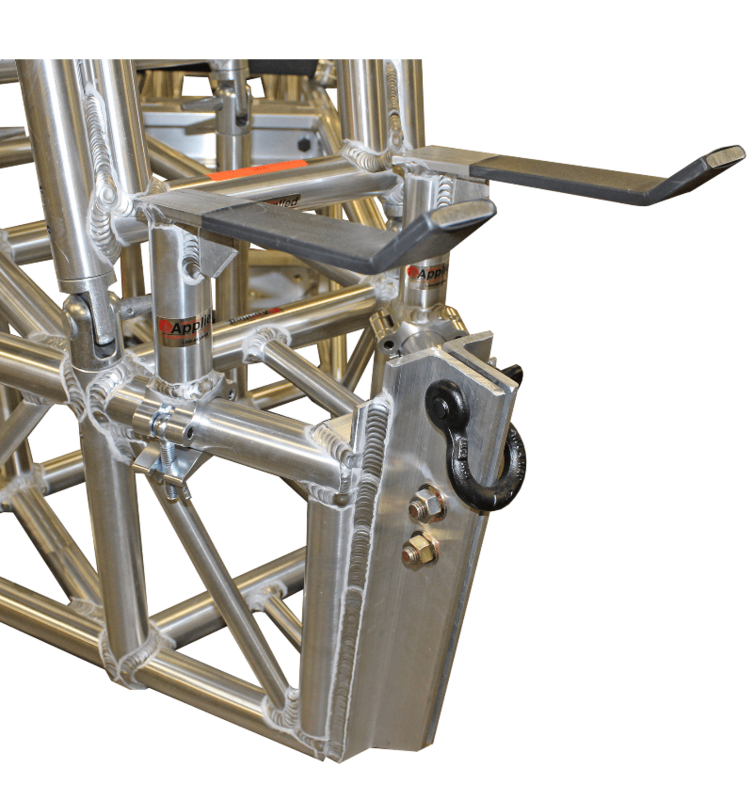 The towers are constructed from 6061-T6 aluminum, and are available in either spigoted or bolted truss. They are hinged for easy loading, have adjustable leveling pads and have an integrated motor pick point. The LA16-30 and LA16-35 have a load limit of 2200 lbs, and both are certified by a structural engineer.